Everyone seems to love the make-up products from RMS Beauty. 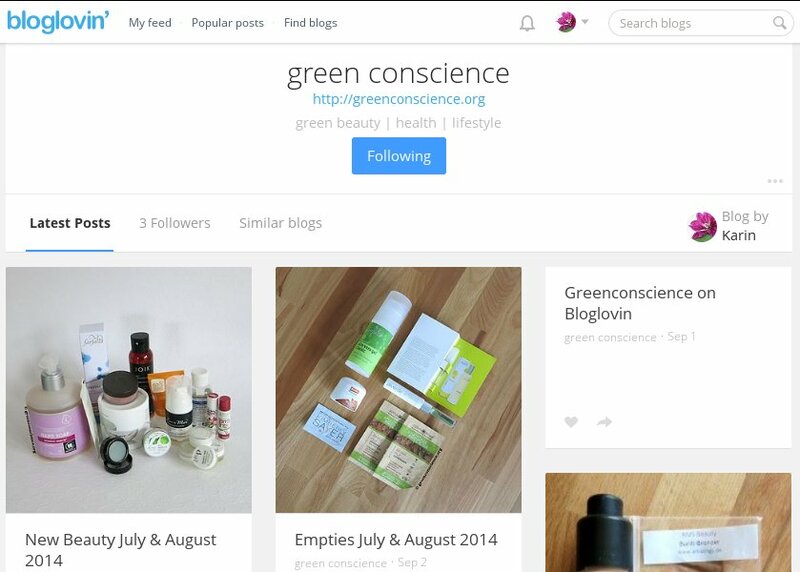 Most bloggers own at least a concealer, blush, highlighter or bronzer – or would like to. The big hype surrounding those products didn’t leave me unaffected so I began to browse the net. Personally, I like to use mineral make-up. But the easy application of those products made me curious, so finally I changed my mind and placed a sample order. Amazingy offers the great option to order a sample pack. Samples are available from almost all of their products. One can choose 5 products and will get product swatches for around 8 €uro, shipping included. I choose some SPF cream from Kimberly sayer and some products from Hiro and RMS. Amazingy generously delivered 7 samples instead of 5. 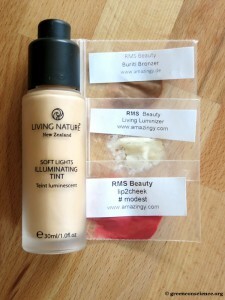 To compare the Luminizer I choose a shimmer foundation which I bought earlier this summer, the Living Nature Soft Lights Illuminating Tint Dawn Glow. The pictures of the swatches I made have been taken in indirect daylight and direct sunlight. 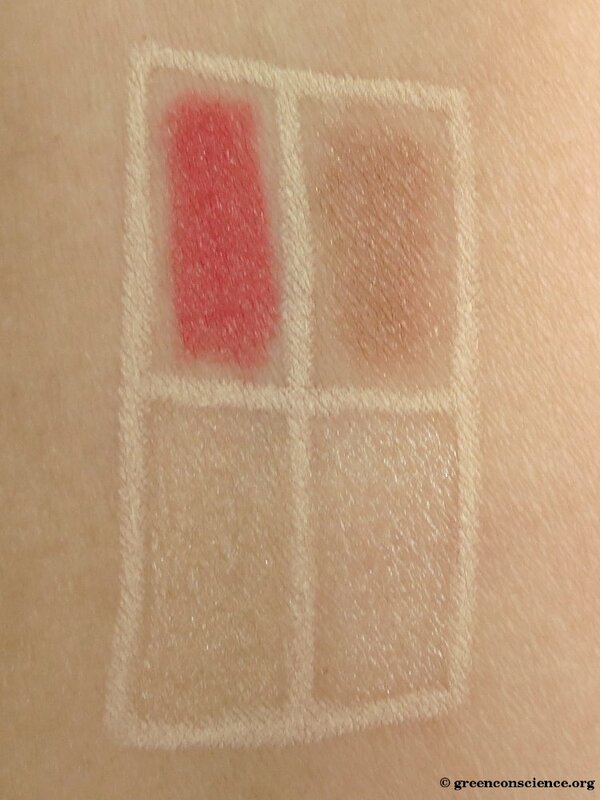 Clockwise, you see lip2cheek in colour modest, Buriti Bronzer, Living Luminizer and Living Nature Dawn Glow. The lip and cheek product comes in a nice coral red colour. The texture feels – in my opinion – a little bit greasy and has a powdery yet creamy finish. Applied to my cheeks the colour appears fine, but it doesn’t work that well with the rest of my mineral make-up. I think I can work on that as I am not used to cream blush textures. On my lips, though, the lip2cheek clings to dry patches and settles in all fine lines. The second product I tried is the Buriti Bronzer. I could apply the bronzer easily on my face, but I did not like the shimmer it provided. My skin gets oily very fast, in combination with that fact the bronzer would not work well for me. My personal highlight of the RMS trio is the Living Luminizer. 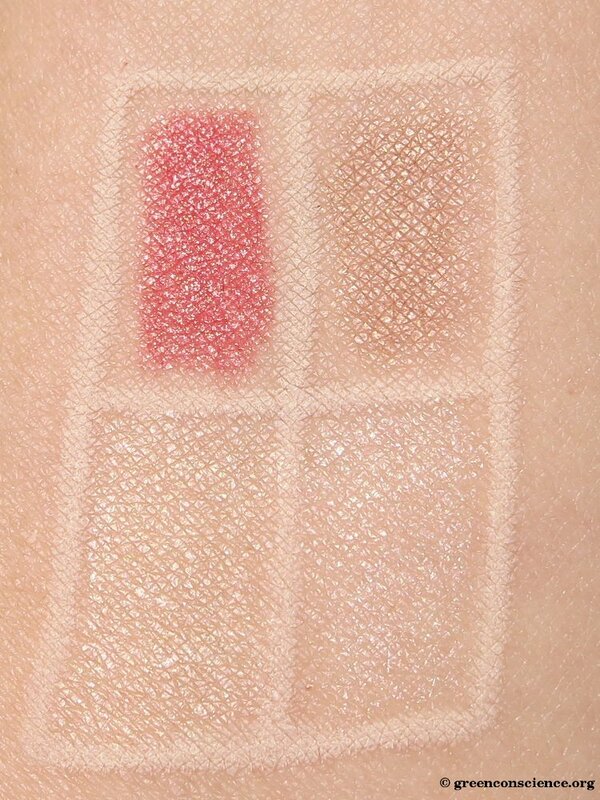 The consistency and shimmer of the luminizer corresponds to the bronzer. However, the shimmer here seems more subtle. Or I had to use less product to get the right amount of highlighting. The pearl white colour looks really nice on the top of my cheekbones, the inside corner of my eyes and the cupids bow. I nearly was going to purchase the Living Luminizer as I liked the easy application and the subtle glow it gave to my face. But as I already own the Illuminating Tint I did a quick comparison between them. You can see the results on the pictures above. The shimmer foundation comes in a slightly warmer tone than the luminizer and can easily be applied as a highlighter. The texture is less oily and dries to a state where I can set all my make-up with a powder without loosing the highlighting effect. Mixed with body lotion, the foundation can be used as a slightly shimmery summer-lotion on legs and chest. Blended with moisturiser it provides a slight glow on the face. 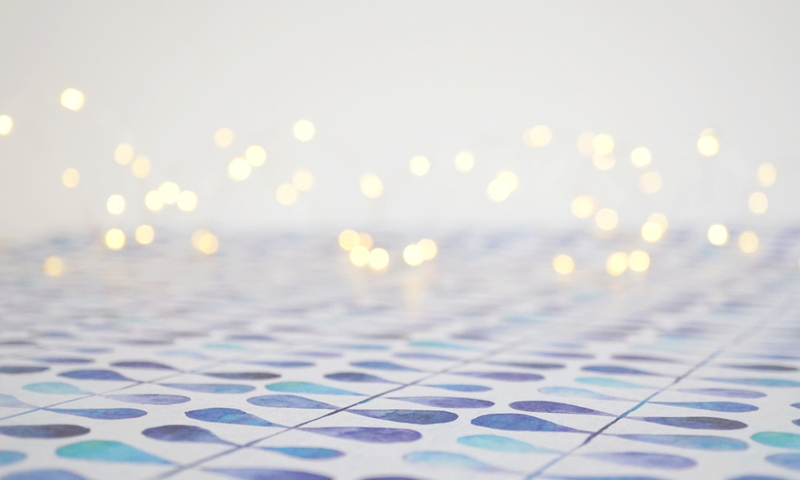 Although I do not use the Living Nature Soft Lights Illuminating Tint as foundation (which it is made for to reduce the appearance of wrinkles and fine lines), the effect when used as a highlighter looks comparable to the Living Luminizer’s. The highlighting is quite enough for me, so in nearer future I will not buy the RMS Living Luminizer. Next summer, when the shelf life of the shimmer foundation is exceeded, I might order another sample and give it a second try.